During LibrePlanet 2016, the ABYSS package was used to livestream sessions from the conference. This year, at LibrePlanet 2017, we used a new version of this free package...with a new name. 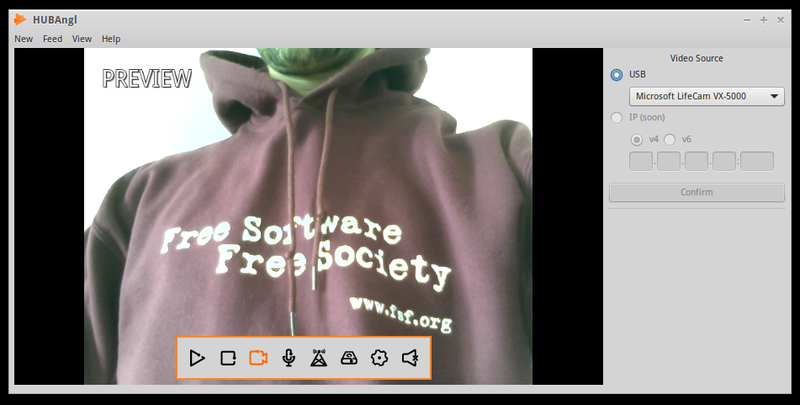 This guest post from David Testé discusses the video streaming package he debuted at LibrePlanet 2016, while a Free Software Foundation (FSF) intern. The new version was deployed at LibrePlanet 2017. During LibrePlanet 2016, the ABYSS package was used to livestream sessions from the conference. This year, at LibrePlanet 2017, we used a new version of this free package...with a new name. It's now called HUBAngl, which stands for HUBAngl Uses Broadcaster Angle. This name sticks with the idea of depth: the HUmpBack Anglerfish lives in the abyss. As I mentioned, HUBAngl was used for LibrePlanet 2017, successfully streaming and recording around 50 sessions. Those sessions are already available on the LibrePlanet's GNU MediaGoblin instance. HUBAngl behaved well despite its experimental state -- we used the v0.1 release for the event. Wanna give HUBAngl a try? Grab a camera and/or a microphone and then clone the project repository. Follow the very straightforward instructions to start a session. That's all. Just remember that HUBAngl is a streaming client: if you want to stream a session you must direct your feed(s) to an Icecast server instance. Since the package is in experimental state, if you encounter any problem or have bugs when running HUBAngl, please open an issue on the project repository, or even better make a pull request to fix the problem, that's very helpful. JACK audio support: currently only PulseAudio server is supported. Audio input mixer and equalizer: will allow multi-source audio input to be streamed. 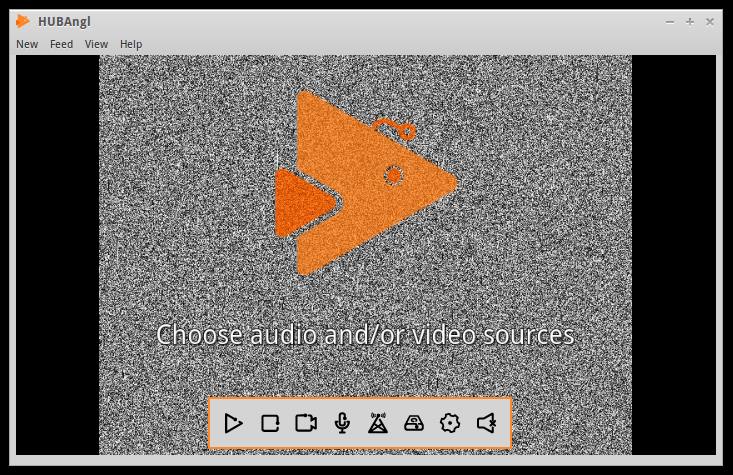 Live subtitles: will allow you to display subtitles during a streaming session. Monitoring mode: will allow a control-room HUBAngl instance to do most of the heavy lifting for the configuration phase and then the data processing. Control-room mode: will allow you to have control over a pool of monitoring HUBAngl instances. If you have any ideas about features to implement into HUBAngl, just ask for it by opening an issue on the project repository. Since day one, the FSF and especially its tech team, put trust in this project by running it for the LibrePlanet conference. Each time, it has been a big deal for me, because this is a great proving ground for HUBAngl (4 instances running in parallel for a whole weekend). LibrePlanet 2018 will again be the HUBAngl's real-life proving ground, and I'll be there in person to ensure everything works as planned. Thanks to the FSF for all their hard work to make LibrePlanet possible. Special thanks to Andrew Engelbrecht and Ruben Rodriguez for their feedback and their help during the development of HUBAngl: without them the package wouldn't have been ready for LibrePlanet 2017. If you want to contribute to the project or if you just want to talk about HUBAngl send me an email soonum[at]gnu.org. All contributions are welcome. If you live in Paris and want to grab a drink while discussing HUBAngl (or anything else), shoot me an email. In any case, see you in Boston at LibrePlanet 2018. David received travel assistance from the LibrePlanet 2017 scholarship fund -- consider contributing to the fund for LibrePlanet 2018 today. You will help more people afford to attend this annual free software conference. Learn more about FSF internships here.